How much stuff are you trying to haul? 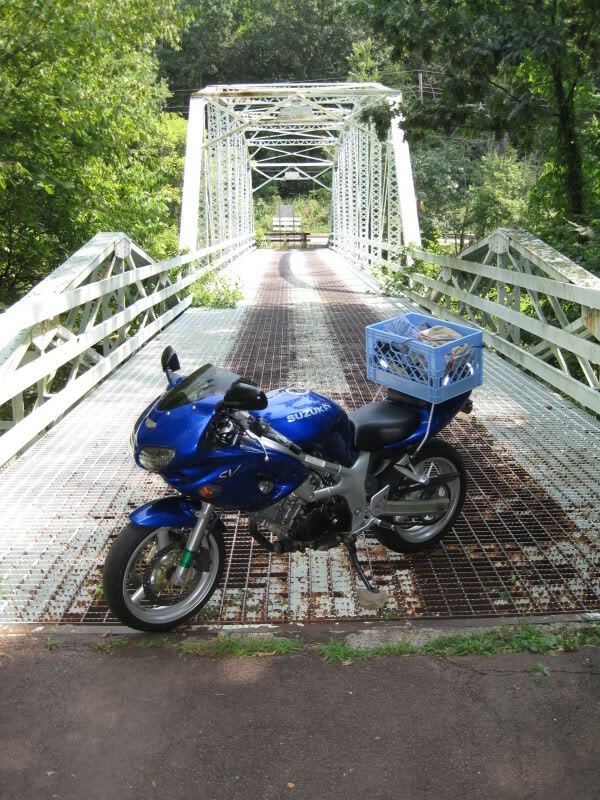 I've used milk crate with non-skid pad and bungee cords on my bikes, carrying my backpack, laptop, change of clothes and shoes; altogether about +25 lb. of stuff. Never a problem with my 40 miles one way commute at highway speed and above (85 mph). 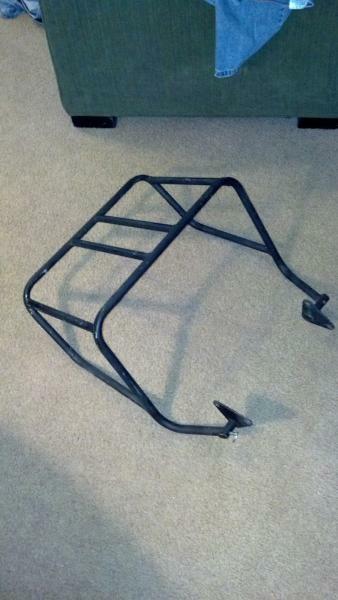 When you say rear rack do you mean one like this? This fits on the OEM seat and I could be persuaded to sell it for $70 shipped in the lower 48.
this is a rear rack that me and autotech made a while back. 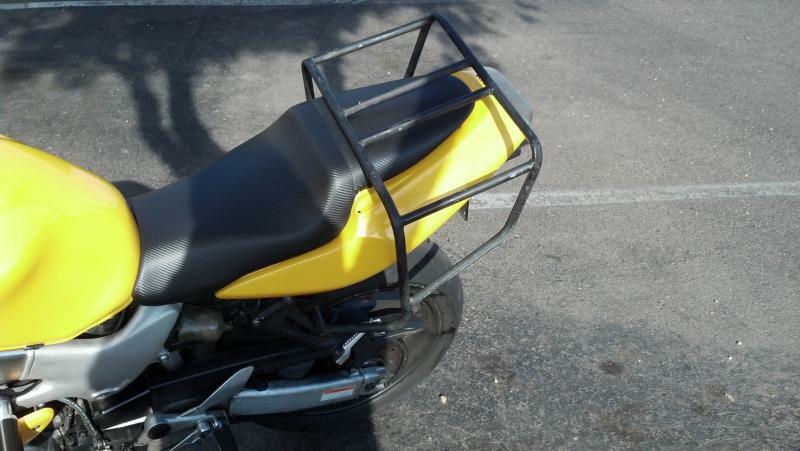 allows for use of saddle bags with out damaging the rear plastics. bolts in place of passanger foot pegs. I've had a Givi Top Case since I bought the VTR new in '02. It works great - even went down with it in '03 & it was fine. I don't have a pic, but I did something a bit unorthodox (but I think it's brilliant). I bought a 2nd oem seat off ebay for 30 bucks. It had a slight 1/2" rip on the passenger pad, but that absolutely didn't matter. I also bought a hard top box. Non givi, pretty large, etc. it is detachable and has a key lock. The top box has a 9x9" mounting plate, and I used bolts, washers and nuts to permanently secure the mounting plate to the passenger seat of the eom ebay seat I bought. I had to drill holes in it but who cares, it was 30 bucks! It's a lot like the milk crate setup, but mounts cleanly with no bungee cords, etc. it holds plenty for a 4-7 day trip if you have a good tank bag too. It has never been close to coming off (wind tested at 100), and the whole thing only cost me around 85 dollars. I did this since swapping seats removes the luggage. Just bolted the mouning plate to the seat so you can pop it off to carry it inside. 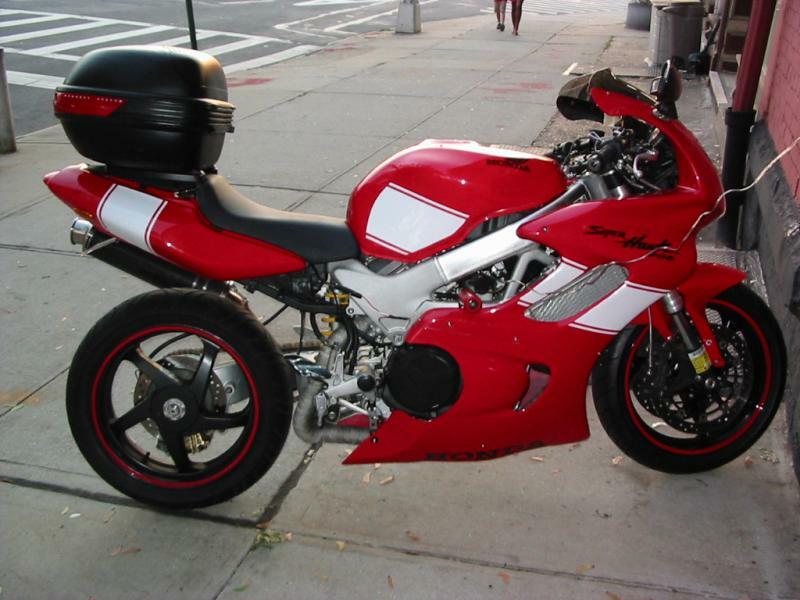 Couldnt bear to mount a rack on my sporty vtr like I have on my daily bike. That's actually pretty brilliant. Do you still have the setup? I think you owe us all a pic, so get on it. Edit: Never mind Ndogg, Joe snuck one in there. That's mighty clever. Last edited by VTR1000F; 09-27-2014 at 08:30 PM. 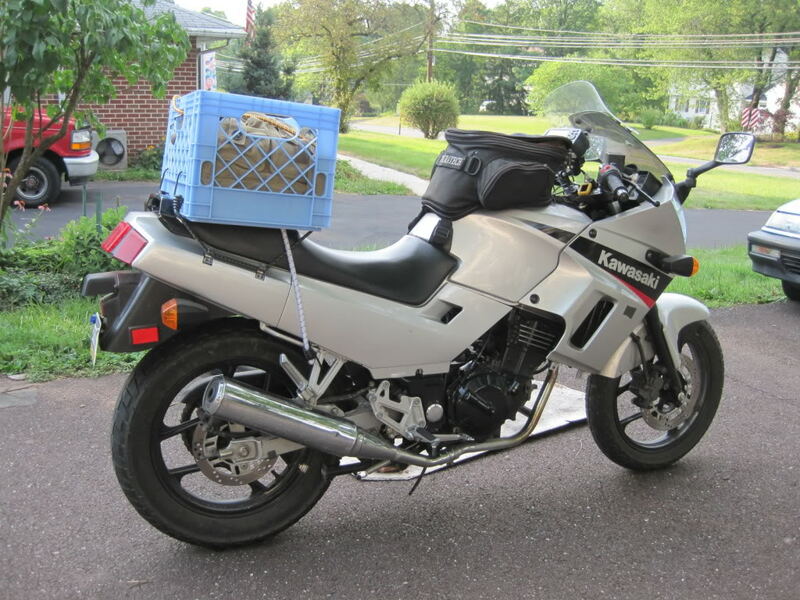 FYI I see really nice givi setups for sale on the BARF forum all the time. I post them on here every so often. It is worth being on the BARF forum just for the classifieds. Great group of riders on there. I have a second seat and I drilled 4 holes in it then put 4 bolts through it and then added an aluminum curved pan to the seat and attached my roll bag to it - it works great! Looking for a Renntec rear rack!